Hotjar is a powerful tool that reveals the online behavior and voice of your users. By combining both Analysis and Feedback tools, Hotjar gives you the ‘big picture’ of how to improve your site’s user experience and performance/conversion rates. The integration of Hotjar with your Spree Commerce store can be done quickly and easily following the guidelines mentioned below. Eliminate guesswork with Recordings of real visitor behavior on your site. By seeing your visitor’s clicks, taps, mouse movements you can identify usability issues on the ﬂy. The easiest way to integrate Hotjar with Spree is using Spree Analytics Trackers. Felix Gray‘s glasses are designed for healthier, happy eyes. 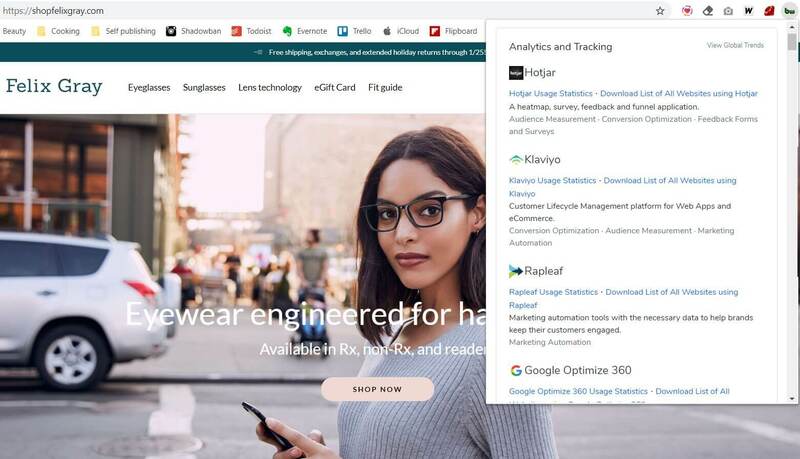 The company uses Spree for their online store and Hotjar for heatmaps.